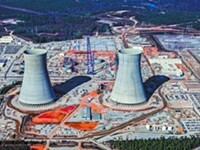 This is the first part in a series investigating the financial and environmental impacts of the expansion of nuclear facilities at Plant Vogtle. If nuclear is such a clear solution to our energy needs, why isn’t it more viable without the support of tens of billions of tax dollars? 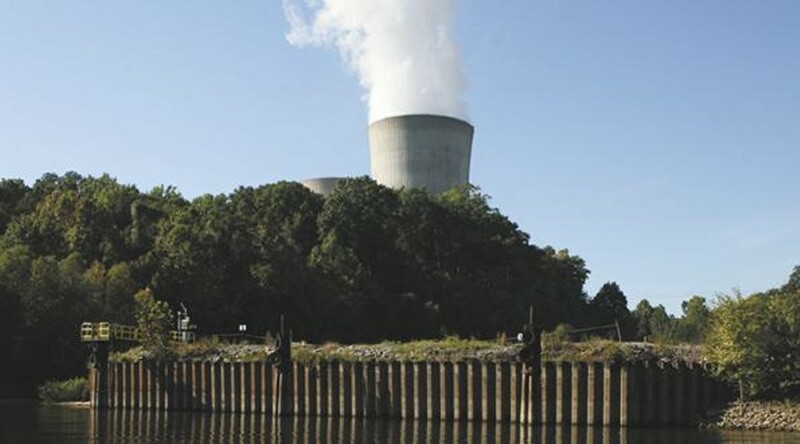 “Nuclear power cannot be financially viable without taxpayer support, which includes not only federal loan guarantees but also risk insurance and production tax credits that manipulate the cost of nuclear generated energy,” said Tyson Slocum, director of Public Citizen’s Energy Program, in a statement released the same day President Obama announced more than $8 billion in federal loan guarantees for Georgia Power’s Plant Vogtle expansion. Obama praised the expansion of the nuclear site upriver from Savannah as an investment in clean energy that would create thousands of construction jobs to build the plant, and then sustain hundreds of jobs once the two new reactors came online. When Georgia Power got the news, the announcement was shouted from rooftops and echoed across press releases from government agencies and private companies like it was a new development. But taxpayers have actually been helping foot the bill for the industry for decades. Developing new nuclear reactors has become one of the rare examples of an issue with bipartisan support in this time of stark political polarization. Among Republicans who have railed against the federal stimulus and Obama’s healthcare reform for their supposedly unwise federal spending, there hasn’t been a peep of dissent to Obama’s huge loan guarantees for nuclear power. The loan guarantees, though first given to the nuclear industry by Obama, were actually created by the Bush Administration under the Energy Policy Act of 2005. But while utility companies across the Southeast, including Georgia Power, have been scrambling to get in line for the handout while praising the clean, inexpensive virtues of nuclear energy, there’s seems to be some confusion about the costs of nuclear power generation, which was once predicted to be “too cheap to meter,” during the 1950s. 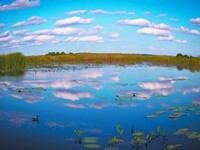 “Energy leaders and experts recognize that as long as producing carbon pollution carries no cost, traditional plants that use fossil fuels will be more cost–effective than plants that use nuclear fuel,” said President Obama in a statement in mid–February during the loan guarantee announcement, seemingly indicating that nuclear needed help to be competitive. Meanwhile, Jeff Wilson, a spokesperson for Georgia Power, extols the virtues of nuclear by explaining that although the initial investment is higher than other forms, the cost of generation is a fraction of other fossil fuels. Critics of nuclear expansion wonder whether, with finite resources available to invest in new energy technology, the utility companies are pushing for what they see as the most lucrative option, rather than the most responsible. 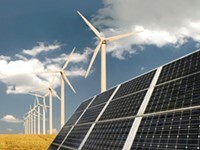 One of the less publicized methods of public support has been going on for over half a century, the Price–Anderson Act, a bit of legislation originated in the late 1950s, and re–invigorated through the Bush-era Energy Policy Act. Price–Anderson limits the amount of liability insurance needed by companies owning nuclear facilities to $300 million. Having to pay less for insurance saves them millions of dollars a year, but places the financial responsibility for the costs of a potential large scale nuclear accident solely on the backs of taxpayers. Another handout granted to the nuclear industry in 2005’s Energy Policy Act was an $18 per megawatt tax credit for qualifying power plants during the first eight years of operation (the average wholesale cost of electricity per megawatt has been around $50 for the past few years). Environmentalists and consumer advocates aren’t the only ones worried about the viability of the nuclear industry. Credit rating agencies and market analysts are also not big fans of nuclear ambition, partly because of the unpredictable, fast–rising costs (the estimated cost of building a new reactor has quadrupled since 2005) and because of the tremendous uncertainty of a project being completed (the AP1000 reactor design that Georgia Power plans on using is still not approved by the Nuclear Regulatory Commission). Even the Congressional Budget Office (CBO) has doubts about the success of new nuclear energy development without some help. “If construction costs for new nuclear power plants proved to be as high as the average cost of nuclear plants built in the 1970s and 1980s or if natural gas prices fell back to the levels seen in the 1990s, then new nuclear capacity would not be competitive, regardless of the incentives provided by Energy Policy Act,” said a CBO report published in 2008. One of the most curious aspects of Plant Vogtle’s financial viability is that, having secured billions in federal loans and clearance to charge customers for the rest of the construction costs (more on that next week), the company’s own shareholders are unwilling to assume any financial responsibility for the project itself. The shareholders won’t have to worry though, because the state legislature has ensured that all of Georgia Power’s customers will pay any “prudent” construction costs for the construction of Plant Vogtle. The surcharges will appear on most customers’ monthly bills starting in January 2011.